The new chapel designed by noted Orthodox architect Andrew Gould highlights the spiritual health and steady growth of St Gregory Palamas Greek Orthodox Monastery. Founded in 1982 by Metropolitan Maximos of Pittsburgh, St Gregory’s is unique in the Greek Orthodox Archdiocese in North America for its use of English as its primary liturgical language. Located in the agricultural country of northeastern Ohio, about 15 miles east of Mansfield (a few miles off US 30), the monastery is roughly equidistant from Cleveland and Columbus. Under the care of Fr. Abbot Joseph, the last decade has seen slow and steady growth in the brotherhood, as well as key additions to the grounds and infrastructure, including a new two-story guesthouse, trapeza and gift shop, new monastic living quarters with a private chapel for the brotherhood, an expanded vegetable garden (which provides over half the brotherhood’s annual food supply), and numerous details too lengthy to mention. 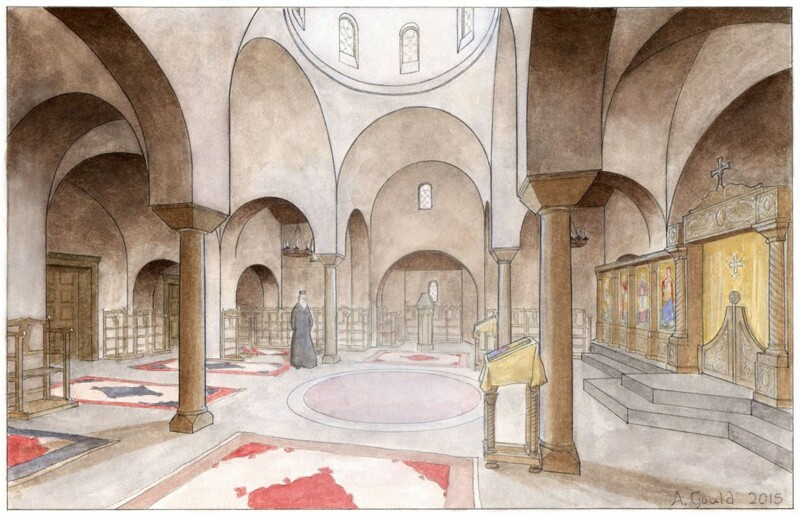 Article on the plans for the new chapel immediately below. See the Gallery for some of my many photographs of St. Gregory’s over the past twelve years. For monastery history and pilgrim info visit the monastery website and online store. You can also see some very nice snapshots of the monastery and its annual pilgrimages at the Friends of St Gregory Palamas Facebook Page. See this post from October 2017 for photos of the progress on construction of the new chapel. 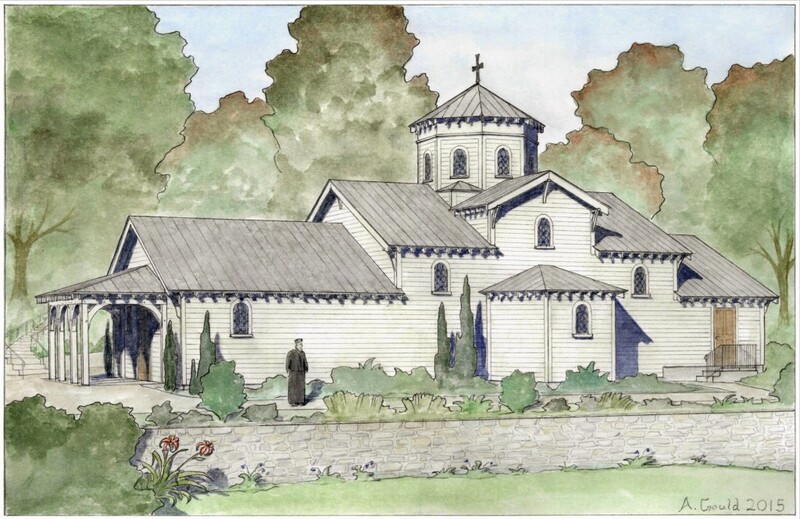 Architect’s watercolor rendering of the proposed chapel. View is approximately from the road. Interior, from the south kliros; iconostasis at right.